Flavor and texture good. Quite oily, though. Thank you so much!! I've tried the "Cafe Rio" recipes more than once, and always fail like you said. Way too thick, very hard to roll out. I just barely tried yours and it turned out wonderful! Easy to roll out, great texture, thin. I've been wanting to learn to make my own so I can have whole wheat without all the other crap the store puts in them. Excited! Thanks! 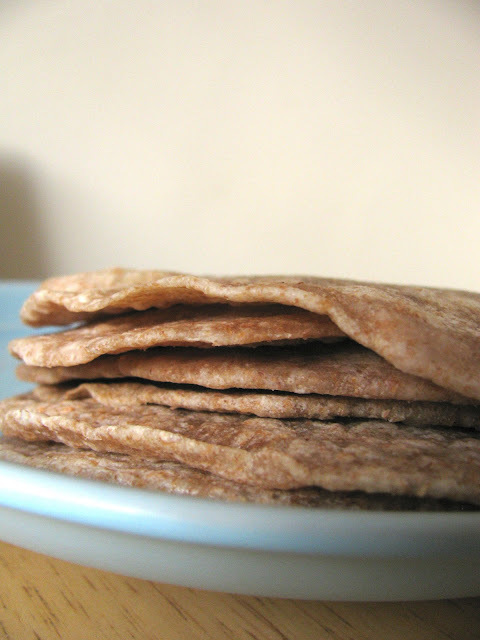 Love homemade tortillas, but looking for a good tortilla press so it doesn't take three days. The reviews of ones I looked at were not so good. Which one do u have and do you like it? Fantastic recipe. I've tried multiple recipes and this is soooo close to Cafe Rio tortillas. Thank you so much for sharing it. What kind of tortilla press do you have? Thanks so much for this recipe! I've made it a few times and it's the best recipe I've found for Cafe Rio style flour tortillas.